"Don't judge a book by its hair color!" Blondes are notorious for being associated with having the most fun. They are not only associated with having the most fun, but also with being a little less on the smart side. In the movie Legally Blonde, Elle Woods is a determined young lady that challenges that theory. Elle Woods is in college, pretty, poplar, president of her sorority, a fashion major and blonde. In spite of all of her accomplishments and achievements the people who matter most in her life don't take her serious. Their expectations for her are small, and she believes that life is all about fashion, friends, and fun until tragic hits her life--the man she loves dumps her for a more serious law student. Elle makes the decision to do whatever is necessary to win her loves heart again. She trades her world of sewing and buttons in for law school. It is quite clear where Elle might've drawn her fun state of mind from when we are introduced to her wealthy parents. Most parents would rave over their kids switching from a fashion major to study law, but Elle's parents are the complete opposite. She has to convince them that she is capable. Upon arriving at Harvard, it is quite clear that she sticks out like a sore thumb, but Elle fights through the adversity of other people. Not only does she have to deal with an atmosphere change, but she has to deal with Vivian, her ex-boyfriend's fiancé. Elle steps up to the challenge, and she discovers more about herself. She went to law school with a lovers cloud, but found out she had a deeper passion for law that she didn't realize she had. Not only does she come out on top, but she gets a fiancé that's better than her last boyfriend. 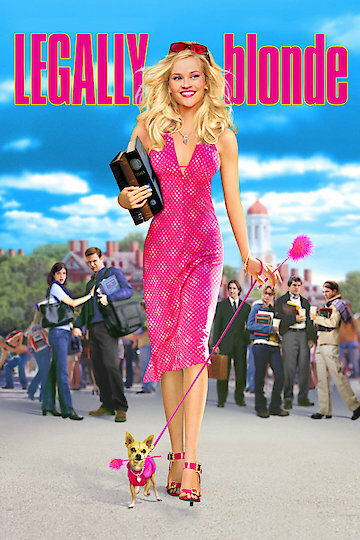 Although the movie still portrays the attributes that people typically associate with blondes, it opens the audiences mind up to get a different perspective on blondes through the character of Elle Woods. Legally Blonde is a movie that isn't limited to just blondes, but for any young lady to watch. It shows a young lady stepping over the limitations that others have placed on her, and exceeding her own expectations. Elle shows viewers that sometimes tragic or devastation is the push needed in order to truly grow as an individual and receive better. Legally Blonde is currently available to watch free on Tubi TV, IMDB Freedive, The Roku Channel, Pluto TV, Vudu Free, YouTube and stream, download, buy, rent on demand at Netflix, Amazon, FandangoNow, Vudu, Google Play, iTunes, YouTube VOD online. The actress wants to be in great shape for the long-awaited sequel. Is 'Legally Blonde 3' Going to Happen? Reese Witherspoon has a lot on her plate. Can she find time to make a sequel to her beloved comedy? The actress/producer felt the need to reveal the truth while wearing skimpy swimwear. Here's the full list of every title coming to and leaving Netflix next month.